Lucius Annaeus Seneca (around 4 B.C.—A.D. 65) was an insightful lawyer, senator, philosopher, and playwright best known for his pithy wisdom that still helps understand how to deal with anger, failure, poverty, success, education and so many other things. It has theoretical underpinnings, to be sure, but its ultimate goal is to inspire us to proper achievement and good living. The philosopher is a physician of the soul, whose advice aims at spiritual health and happiness. Like physics, philosophy seeks to understand the most ultimate realities with which we have to do. Yet, unlike physics, the philosophy most true to human nature gives us not technical terminology and news of marvels outside the ken of our normal experience, but rather reminders of what lies right in front of our eyes, or, if we are perceptive, inside our own hearts. Philosophy has been called “common sense in dress clothes.” It can show us something we had already suspected or known. Many people, however, question the point of telling us things that we already know. People say: “What good does it do to point out the obvious?” A great deal of good, since we sometimes know facts without paying attention to them. Advice is not the same thing as teaching. It just gets our attention and wakes us up, and concentrates our memory and keeps it from losing its grip. We otherwise miss a lot that’s right in front of our eyes. Advice is, in fact, a sort of exhortation. Phil Jackson, the championship basketball coach, draws on insights from philosophy and the importance of what commands our attention in his two books Sacred Hoops: Spiritual Lessons of a Hardwood Warrior and Eleven Rings: The Soul of Success. Whatever is good for us should be discussed often and frequently brought to mind, so that it may be not Just familiar to us, but also ready for use. Remember also that in this way what is clear often, becomes clearer. Seneca developed wisdom about prosperity and successful living that resonates with some of the best contemporary thought concerning happiness and the good life. His nuggets of advice often help us to understand more thoroughly any insights we might already have managed to grasp about true success in life. What is clear becomes clearer, and deep realizations that might have remained unarticulated are suddenly sparked into consciousness as we read his words. He provides us with elements of a life guidance toolkit that display a logical unity, a form of inner coherence, and a tremendous usefulness for anyone living in tumultuous times. The soul carries within itself the seed of everything that is honorable, and this seed is stirred to growth by advice, as a spark fanned by a gentle breeze develops its natural fire. Virtue is aroused by a touch, or a shock. In addition, there are certain things that, although they are already in our minds, are not all ready for use, but begin to function easily as soon as they’re put into words. Some tilings lie scattered around in various places, and it is impossible for the tin practiced mind to arrange them in a proper order. We need to bring them, into unity and Join them, so that they can be more powerful and more of an uplift to the soul. The human mind is often like a cluttered attic. There is a lot of good stuff in there but it’s organized poorly so we can’t find or use much of anything. And because we pack so much in there our understanding gets confused. Organizing this mess is too much. Part of Seneca’s wisdom is he pulls away the clutter and throws it out, revealing the knowledge that we already have. The power of Seneca’s advice lies not just in its universality of application, but in its ability to spark us and fan us into flaming action, guiding that action from within our own hearts, and moving us out into the world. It can help bring into powerful unity the various insights and habits for successful living that we already have picked up along the way, and it can give us fresh perspectives on what it takes for satisfying, sustainable achievement in our world. Seneca himself would certainly remind us that it is not just the nuggets of wisdom themselves, but how we apply them, that is the ultimate aim of philosophy. An insight, however, needs to be applied in the context of life. 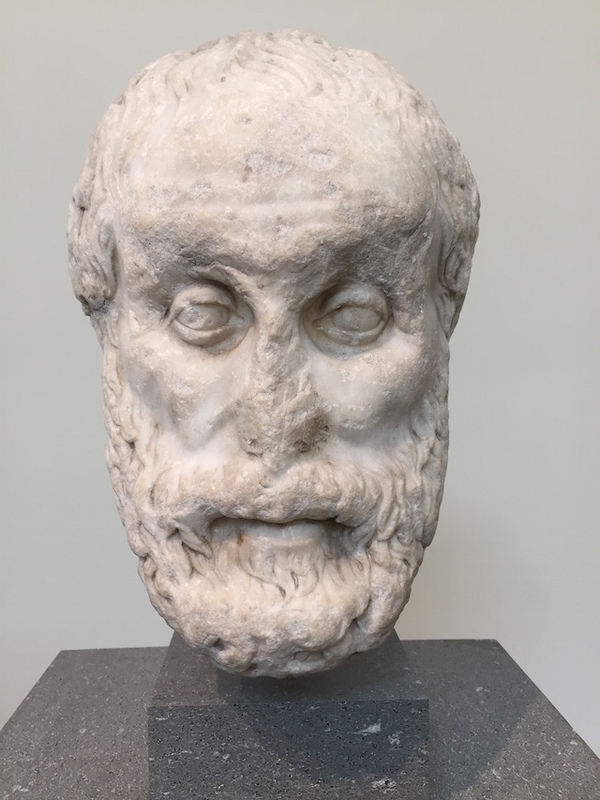 Seneca maintains: “It is not enough, when a man is arranging his existence as a whole, just to give him advice on the details.” And he later reminds us of the symbiotic relationship between learning and living. Virtue depends partly on training and partly on practice. You must learn first, and then strengthen what you’ve learned by practice. I need to remind you, over and over, that I am not speaking about an ideal wise man to whom every duty is a pleasure, and who rules over his own spirit, imposing on himself any law he pleases, while always obeying what he has imposed, but I am talking about anyone who, with all his imperfections, desires to follow the perfect path, and yet has passions that often are reluctant to obey. If we truly desire to live good and happy lives, we qualify as fit pupils for this philosopher. And with all the troubles we inevitably face in the world, we need this lawyer of life to help defend us against the many forces that would imprison us. If we listen well, and put into practice the best of his counsel, we can liberate our selves to be our best and feel our best in all that we do. Still curious? Check out Dying Every Day: Seneca at the Court of Nero.